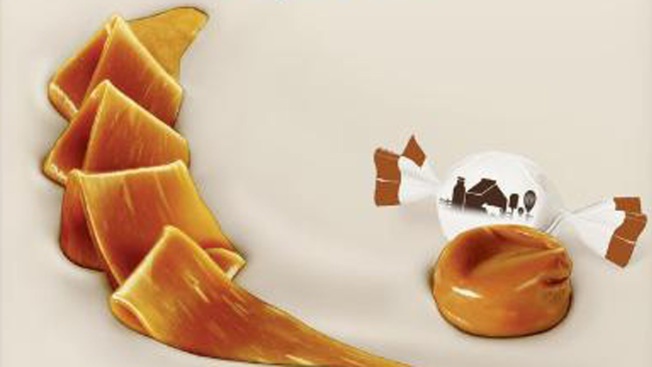 Hershey unveils new Lancaster Caramel Soft Cremes - the company's first new candy in 30 years. The move comes as China increasingly becomes a focus for U.S.-based consumer goods companies that are seeking to offset slower growth in developed markets like North America. Hershey, which makes candy such as Kit Kat, Twizzlers and Hershey's Kisses, said its most recent quarter that new products in both the U.S. and overseas helped its net income rise 18 percent. "China and the U.S. are major focus markets for the company," said Steven Schiller, senior vice president of sweets and refreshment. China is the second largest sweets market behind the U.S., he added. The Lancaster name stems from founder Milton Hershey's first candy company, The Lancaster Caramel Co. founded in 1886. And the candy comes after two-and-a-half years of research into consumer tastes and the global confectionary market. A category the company calls "comforting richness" — caramel or milk-based soft candy — was under tapped, Hershey found, even though at $1.5 billion dollars it was big business in China. Caramel is also a fast-growing category globally, Schiller said, growing faster than chocolate and other non-chocolate candies. "It is one of the fastest growing segments in the food industry," Schiller said. So Hershey developed caramels that could fit into the niche. The products in each country aren't completely the same, but tailored to their markets. In the U.S., Lancaster caramel's will come in three flavors: caramel, vanilla and caramel, and vanilla and raspberry. In China, where the company already sells Hershey's Kisses, Hershey and Ice Breakers, the candies will be more similar to milk-based candies that are popular in that country.